Belgium is a strange, strange country. I don’t mean the bizarre borders1 , the incredibly complicated politics2 , or the fact that there’s a Belgian chess history site. No, I mean the fact that Belgium’s most famous inhabitants are all fictional.3 What Belgians are reasonably well-known internationally? Tintin maybe? Or the smurfs? Lucky Luke? Dr. Evil? Or our protagonist for today: Hercule Poirot, probably the most famous detective since Sherlock Holmes. He stars in an astonishing amount of books, some films, radio dramas, and our topic of today: a long lasting television series. 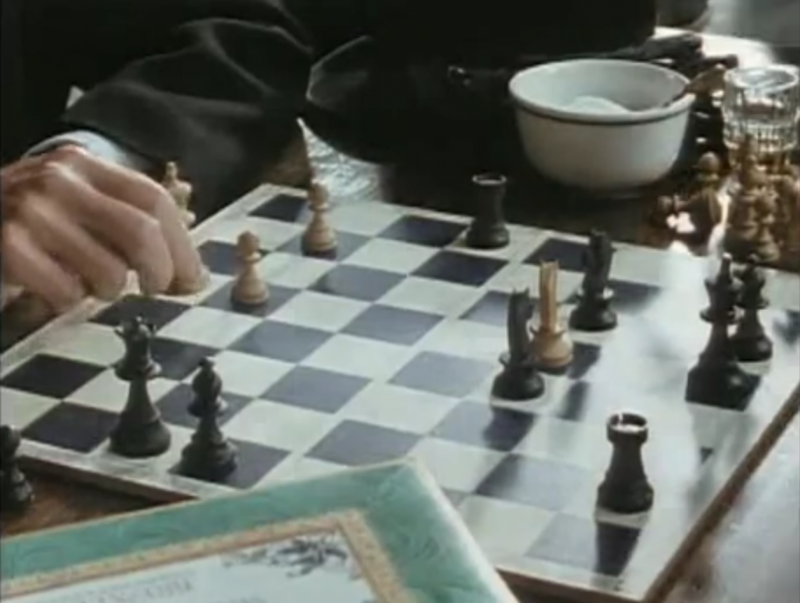 In episode six of season five, Poirot returns to Belgium. 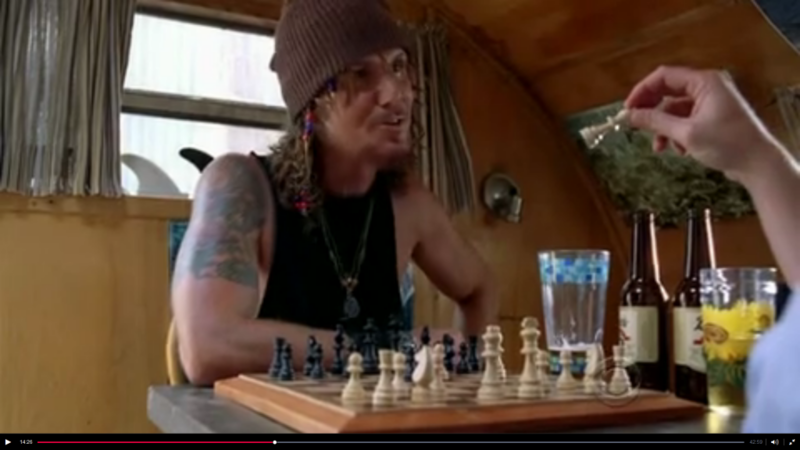 About halfway through the episode, we get to see one of the rarest sights nature has to offer: people playing chess in Belgium. Ah, the Smurfs! The little blue guys don’t need an introduction, I think, but I will give them one anyway. Here goes: the smurfs were, according to wikipedia, introduced by Peyo in Johan and Peewit in 1958 and got their own series the year after. 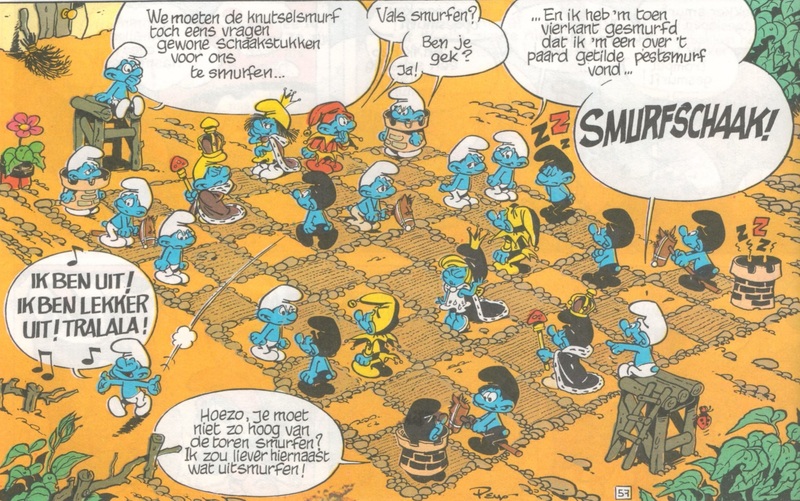 Since then, they have become what is perhaps Belgium’s most famous export product.1 Here, the smurfs are in the middle of a game of chess with live pieces. 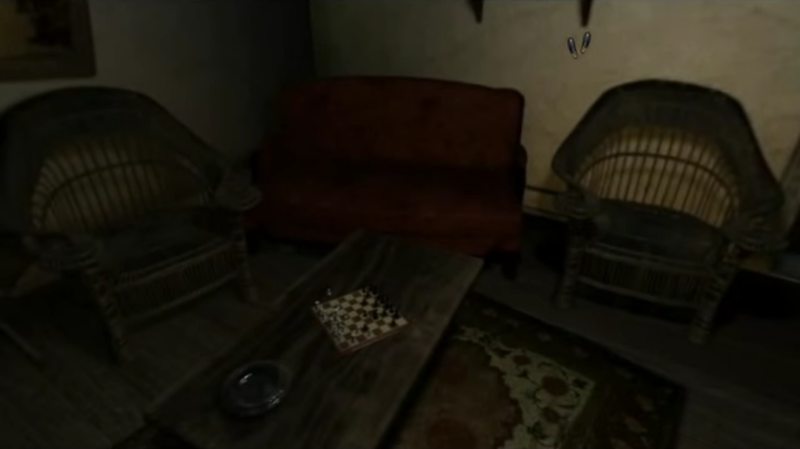 With this blog, I will critique chess as it appears in all sorts of popular media. I will honour the good and, probably much more frequently, castigate the bad.